DETAILS: Occupying over 400 feet of private beach in Frangista Beach and overlooking the Emerald coast with water views in EVERY direction, this stunning home is everything you have been searching for in a vacation rental — Gulf front with amazing views, a private, heated pool, multiple outdoor porches, and comfortable sleeping arrangements for up to 12 guests. The open concept living, dining and kitchen area are perfect for entertaining your family and friends, and the incredible views of the coast provide a beautiful backdrop. The kitchen provides ample space, is well-stocked and boasts granite counters and top-of-the-line appliances. Also located on the main floor is a laundry room that conveniently stores pool and beach items, a full-bath, and a bedroom with two queen beds. As you make your way upstairs, you’ll find two Gulf-front master bedrooms with luxurious, private master baths. Each master opens to a second-floor balcony. 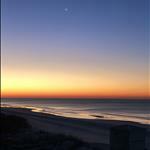 Watch the dolphins in the morning, or simply soothe yourself to sleep with the sound of Gulf waves. In addition, two additional, spacious bedrooms feature their own private baths. 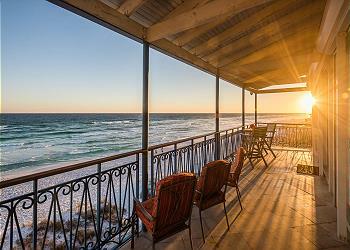 If location is what you seek, this Gulf Front home is waiting to host your vacation memories! Check availability and book with 360 Blue today! AMENITIES INCLUDE: 5 adult bikes provided, private pool, gulf view. This property comes with 4 dedicated parking spots. Complete Clean Linen Participant - ALL linens, including comforters laundered upon every checkout. The home was so beautiful and amazingly delightful! The view was impeccable with the most gorgeous sunsets I have ever seen. We are so thrilled that you enjoyed your stay with us in Miramar Beach! We completely agree that this home is gorgeous and the views are second to none! Thank you for staying with 360 Blue, we hope to see you again soon! Great property! Roomy with tons of amenities to make us feel right at home. Great beach access and the covered, heated pool was definitely a big hit despite the rainy weather. We could not agree more! This home is perfect for a relaxing and fun vacation and we are so delighted that you all enjoyed your time with us in Miramar Beach! Thank you for staying with 360 Blue, we hope to see you all again soon! We are so glad that you enjoyed your couples getaway with us in Miramar Beach! We agree that this home sits in a very desirable area and makes for a very easy and carefree vacation! We do apologize for the issues felt during your stay but we are very happy to hear that everything was addressed for you. We look forward to hosting you all again soon! We loved the home and the 360 Blue experience. We would definitely book this property again! Thank you so much for staying with 360 Blue! We couldn't be more happy that you enjoyed your stay so much in Miramar Beach! We can't wait to start planning your next vacation! I was disappointed in the cleanliness and basic maintenance. Floors needed to be cleaned, mopped. Mold growing in shower stalls and glass doors going into them. This home has been only lightly cleaned. It hasnt been deeply cleaned in a long time. Call me and I can tell you much more. Wonderful home in excellent location! Beautiful views. Would love to return! We are so happy that you enjoyed your stay and hope to see you back at the beach soon! Such a great house!! We had a wonderful experience at Las Puerto!! 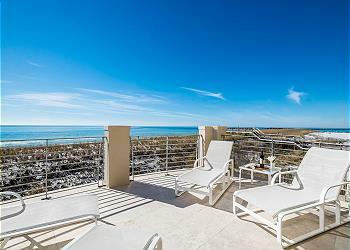 Beautifully decorated and the perfect location with the most breathtaking views of the gulf! We had a slight issue with the pool heater, but 360 Blue was extremely helpful and communicative throughout our stay! Would definitely recommend both 360 Blue and this amazing house, and would love to stay here again! What a beautiful view! We are so thrilled that you enjoyed your stay in this amazing home. It is truly the perfect place for a relaxing beach getaway. We look forward to having you back soon! Stayed here two years ago. Like the improvements. House suits our families perfectly. Ice maker is a nice convenience. Two toilets need repair, and two area rugs need to be replaced or repaired. Need more than one dish towel and oven mitts. We had a great week, and would return if we can. Thank you so much for your valuable feedback. Our property manager is working with the home owner to ensure the items that you mentioned are addressed. We hope you had an amazing stay and created some wonderful memories that will last a lifetime. We have a fantastic time. We enjoyed very much. the serve was great. We left at 10:30 am. Thank you very much for your great hospitality. We are so happy to hear you enjoyed your stay with us in Miramar Beach! Thank you so much for choosing 360 Blue for your beach getaway! Come back and visit us again soon! We loved our long weekend get-away!!! There were going to be 10 of us, but due to the hurricane, 2 couples didn't make it. We had great weather and spent a lot of time in the ocean. Thanks again!!! What a great group photo! We are so happy to hear that your group enjoyed your stay despite the hurricane interrupting plans! Thank you so much for choosing 360 Blue, and for taking a moment to share your experience with us! We hope to see you back at the beach again soon! Such a beautiful photo! Thank you so much for choosing 360 Blue and be sure to think of us for your next vacation! Absolutely perfect home! After a long day in the car, it was so nice to have groceries delivered and put away upon arrival. Thank you 360 Blue! We loved every day of our stay. There was so many things to do close by. Our kids had a blast. My elderly Mother enjoyed sitting on the balcony watching her grandkids enjoy the beach. We definitely will vacation here again! 360 Blue ..... great job! Love the app. Captured a storm rolling in one morning! Beautiful! What a gorgeous photo! You truly captured the beauty of our sugar white sand and emerald waters! We are so pleased to hear you enjoyed your stay with us, that grocery delivery service is certainly helpful after a full day of travel! Thank you so much for choosing 360 Blue for your family's beach getaway, and for taking a moment to share your experience with us. We hope to see you all back at the beach soon! We had a wonderful time on our vacation here. The house is stunning and has everything we could need. 360 also was wonderful to work with and made everything perfect. Even with a tropical storm, we still enjoyed ourselves. Can't wait to stay here again!!! This is a gorgeous photo! You truly captured the beauty and serenity of sunsets on 30A. Thank you so much for taking a moment to share your experience with us. We are so happy to hear that you enjoyed your stay with us! We appreciate you choosing 360 Blue for you beach escape. We look forward to your next stay with us!